How are our ‘Pioneer CLOCS Champions doing? The CLOCS team understands that full implementation of CLOCS across a business does not happen overnight and have put the monitoring process in place to support continuous improvement. Results so far have been very positive and are providing heaps of lessons learned and best practice to share with others. CLOCS’ Project Director, Derek Rees has just started his training for Ziggurat 2018. This is his first ever long distance cycle, but he’s up for the challenge to mark his 50th birthday and has started training on his ancient exercise bike. He&apos;s just bought a new bike and will be taking to the roads this month. 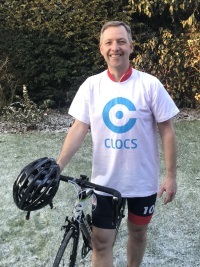 "Ziggurat is for business leaders in the construction sector and I’d encourage my peers from CLOCS Champion organisations to join me in this 300-mile challenge”. clearly articulate the significant alignment of CLOCS with CDM and its applicability to client duties beyond construction site hoardings. support clients with CLOCS implementation – showing them exactly what they should be doing and how to ensure the tender process resources the delivery of CLOCS requirements. demonstrate the importance of monitoring and communication to understand impact and areas for solutions and improvement. This month, analysis from FORS Collision Manager indicates that 30% of collisions reported involved a hazard on the road. 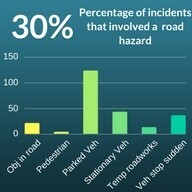 51% of these hazards were parked vehicles and 15% were related to vehicles stopping suddenly. The London Plan is one of the most important documents for this city. It&apos;s a strategic plan which shapes how London evolves and develops. All planning decisions should follow London Plan policies, and it sets a policy framework for local plans across London. 5th Mar, 3rd Apr, 7th May. O’Donovan Waste Disposal has taken delivery of more Mercedes-Benz Econic skiploaders.